[January 23, 2019] North Korea in 2019: More of the same, or a historic opportunity? 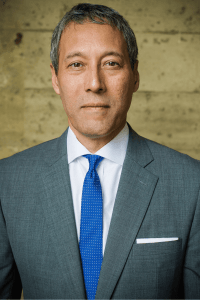 David C. Kang is Maria Crutcher Professor of International Relations at the University of Southern California, with appointments in both the School of International Relations and the Marshall School of Business. Kang is also director of the USC Korean Studies Institute. Kang’s latest book is American Grand Strategy and East Asian Security in the 21st Century (Cambridge University Press, 2017). He has authored four other scholarly books and has published articles in journals such as International Organization, International Studies Quarterly, Journal of Conflict Resolution, and International Security. A regular consultant for U.S. government agencies and the military, Kang has also written opinion pieces in the New York Times, the Financial Times, the Washington Post, and the Los Angeles Times, and appears regularly in media such as CNN, PBC, the BBC, and NPR. A former Fulbright Scholar, Kang received an A.B. with honors from Stanford University and his Ph.D. from Berkeley. Celeste Arrington is Korea Foundation Assistant Professor of Political Science and International Affairs at GW. She specializes in comparative politics, with a regional focus on the Koreas and Japan. 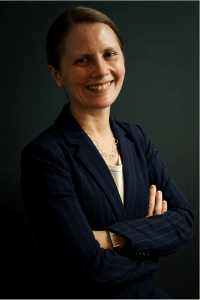 Her research and teaching focus on law and social movements, the media, lawyers, policy processes, historical justice, North Korean human rights, and qualitative methods. She is also interested in the international relations and security of Northeast Asia and transnational activism. She is the author ofAccidental Activists: Victims and Government Accountability in South Korea and Japan (2016) and has published in Comparative Political Studies, Law & Society Review, Journal of East Asian Studies, Pacific Affairs, Asian Survey, and the Washington Post, among others. She received a Ph.D. from the University of California, Berkeley, an MPhil from the University of Cambridge, and an A.B. from Princeton University. She is currently writing a book that analyzes the role of lawyers and legal activism in Japanese and Korean policies related to persons with disabilities and tobacco control.